​Harness the True Power of Edge Computing. Try Moxa's Industrial Protocol Conversion Solutions and Save! ​Looking to connect your legacy devices such as sensors, VFDs, and stack lights to a network? 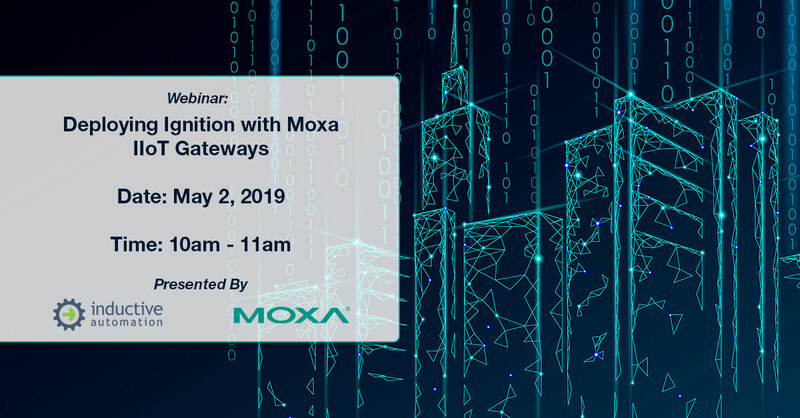 Moxa has you covered with a complete line-up of NPort Serial to Ethernet Device Servers, ioLogik remote I/O gateways, and MGate industrial protocol converters. And, for a limited time, take advantage of a 15% discount! XTL series label makers simplify industrial labeling with a large, viewable screen, intuitive controls, and a wide range of functions. XTL series label makers can print using continuous tape, pre-sized labels, heat-shrink tubes, and small format safety labels. The XTL 300 is a smaller, lighter system ideal for on-the-go label making, capable of printing up to 1 inch (24mm) wide labels. The XTL 500 has a touch screen, more features, and the ability to print up to 2-1/8 inch (54mm) wide labels. XTL labels come as all-in-one cartridges or as laser compatible printer sheets. Labels types include heat-shrink tubing labels, wire/cable wrap labels, pre-sized safety labels, permanent flat surface labels, all-purpose vinyl labels and self-laminating laser printer label sheets. DYMO label maker printers start at $209.00 and have a 3-year warranty. The DN-FE-16T crimping tool has a rotatable die and a trapezoidal crimp profile. The crimper is self-adjusting for ferrule sizes of 26 to 8 AWG, and the crimp head is rotatable to accommodate crimping from the side or from the front. Other than the rotatable die and crimp profile, this new crimper is identical to our two existing self-adjusting crimpers. These DN-FE series crimpers are lightweight, compact and comfortable for crimping a wide range of insulated and non-insulated ferrules, crimping terminals, and connectors. The crimpers feature controlled-cycle ratcheting mechanisms to guarantee a uniform crimp every time. With ergonomic handles, the crimpers are well balanced to avoid slipping and have a non-slip grip pad for applying pressure against a surface. DN-FE series crimp tools are $218.00 each and have a 1-year warranty. Economical SOLO® Basic temperature controllers provide single loop control for heating and cooling processes using a thermocouple or RTD input signal and a relay, voltage pulse, or current output signal (depending on model). 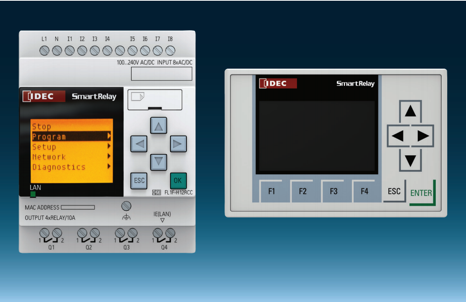 The 1/16 DIN panel size controller operates on 100 to 240 VAC 50 / 60 Hz input power. Two 4 character 7-segment LED displays indicate process value and setpoint (°F or °C selectable). SOLO Basic units accept 11 types of thermocouples, 4 types of RTDs, and support three control modes: PID, ON/OFF, and Manual. An Auto Tuning (AT) function is available with PID control. On select models two alarm outputs are available. 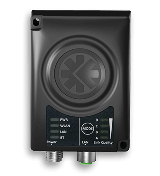 These basic controllers are IP66 rated and have a 0°C to 50°C operating temperature range. With UL, CUL, and CE agency approvals, SOLO basic temperature controllers start at $39.00. SureStep® IP65 rated stepping motors are protected from total dust ingress and from low pressure water jets, making them suitable for many washdown applications. These fully sealed, single-shaft motors are available with industry-standard NEMA 17, 23, and 34 mounting flanges and provide holding torque from 61 to 1288 oz-in. The motors use 2-phase technology with 200 full steps per revolution or 1.8 degrees per full step. The square frame step motor style produces high torque; waterproof white epoxy coating on the motor laminations and special bearings and seals keep moisture out. IP65 Motors are available in single-shaft only and have a 1-ft. cable and locking connector. Extension cables with IP65 connector are available in 6, 10, 20 ft lengths. Starting at $128.00, IP65 stepper motors are CE compliant and have a 1-year warranty. New Contrinex DW series 4mm, 5mm, 8mm and 12mm diameter round body inductive proximity sensors have been added. Priced at $99.00 and intended for harsh duty applications, 4mm smooth and 5mm (M5 threaded) models are available with full stainless steel housings. Starting at $75.00, 8mm and 12mm diameter DW series sensor models are now available with quadruple sensing ranges. The 8mm M8 sensor has a 4mm (shielded) sensing distance and the 12mm M12 sensor has an 8mm (shielded) sensing distance. DW series proximity sensors have an LED status indicator and are available with NPN and PNP, Normally-Open or Normally-Closed outputs. 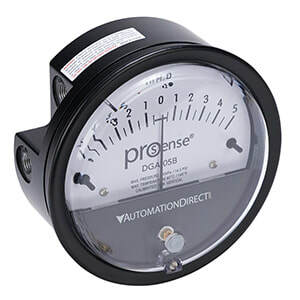 DW series sensors are IP67 protection rated and provide complete overload protection. All sensors are cULus approved, CE compliant and have a lifetime warranty. NITRA GVP series pneumatic miniature solenoid valves are an excellent choice for many automation applications with low flow requirements. These two- and three-port valves are typically used for on/off flow control or with single-acting cylinders. Starting at $26.00, GVP series 12 or 24 VDC solenoid valves are available in 10mm and 15mm valve widths and in 2-way or 3-way normally closed configurations. Latching solenoid valves are available in 3-way normally closed configuration. Used with GVP series valves, NITRA GM-3 series compact, precision machined anodized aluminum manifolds are available in single to 4 or 6 stations and start at $16.50. Also newly available are compact and miniature manual air valves, general purpose shuttle and bleed valve fittings, brass air jet nozzle kits and non-metallic pneumatic manifolds. New 22mm legend plates are available in both metal and plastic. Some special purpose 22mm pushbutton legend plates require a locator notch to be filed off in order for the legend to fit over standard pushbuttons. With no filing required, these new legend plates offer ease-of-use with all 22mm pushbutton devices. Plastic legend plates have white engraved text on a black or red background. Aluminum legend plates have a black or red field with silver background. Two sizes of legend plates are available: 30mm W x 45mm H standard, and jumbo at 40mm W x 45mm H. Over 50 text legends are available in black and EMERG. STOP and STOP are also available in red. Blank plates are available in red and black. These new 22mm legend plates are $3.50 each with O-ring included, and are CE approved and have a 1-year warranty. 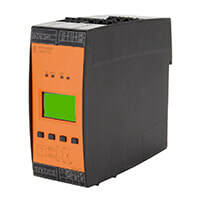 ​RHINO PSV series DIN rail power supplies are available in a wide range of voltages and wattages. 5V RHINO supplies are available in 15 and 25-watt ratings, and 12V supplies at 48W. 24VDC supplies are available in 30, 50, 100, 120, 240, 480W; and 48V RHINO supplies are rated up to 120W. 15 to 100W models, in ultra-compact plastic housings, have an efficiency rating of up to 89.0%, a full power operating temperature range from -10°C to +55°C and are NEC Class 2 / Limited Power Source (LPS) certified. 120-480W power supply models have a metal housing, provide full power from -10°C to +50°C and efficiencies up to 88.0%. These models have a built-in constant current circuit for reactive loads. 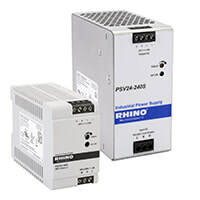 Starting at $32.00, RHINO PSV series DC power supplies are UL/cUL recognized, CE approved and have a 3-year warranty. 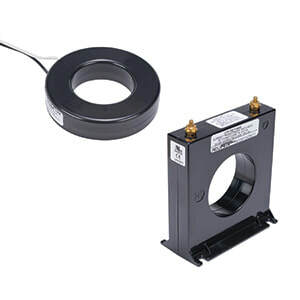 In addition to existing 2, 3 and 4-conductor styles, Type SOOW and Type SEOOW flexible cord are now available with 5 conductors in 16, 14, 12 and 10 AWG. 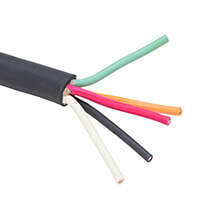 Flexible portable cord or service cord is used for electrical power connections requiring flexibility in indoor and outdoor wiring applications. Grounded Wye or 5-wire systems are required in applications such as power drops and supply power for mobile equipment. Type SOOW and SEOOW cord are rated at 600 VAC and are available in 18 to 10 AWG. With a thermoset rubber jacket, Type SOOW is best for abrasion resistance and offers a lower cost. Type SEOOW has a thermoplastic elastomer jacket, a wider continuous temperature range and offers better flexibility at very low temperatures. 5-conductor flexible portable cord is cut-to-length starting at $0.82 per foot (20-foot minimum). Traditional factories have long been an information silo with fewer cybersecurity concerns than enterprise networks, which typically have numerous external access points. Nowadays, smart factories involve mass-customization and cloud services, which requires IT and OT to be integrated by connections to sensors, machines, and production lines. Through technology, smart factories can consolidate data, making the ICS (Industrial Control System) network in these factories more vulnerable to the external and internal threats such as hacking, malicious attacks, or even malpractice by employees. To address these issues, the top priority when enabling cybersecurity is to allow only necessary traffic on mission-critical networks. In other words, you need to create a “clean” network environment to protect smart machines, production lines and ultimately your entire factory. This level of protection is achieved with industrial firewalls and other industrial networking devices that comply with the IEC 62443 industrial security standard. IEC 62443 defines guidelines for different parts of a network and those who perform different responsibilities on the network. Machine manufacturers and system integrators (SI) require small rugged Wi-Fi devices that are easy to install and integrate well into a variety of industrial machinery, thereby reducing system implementation efforts. 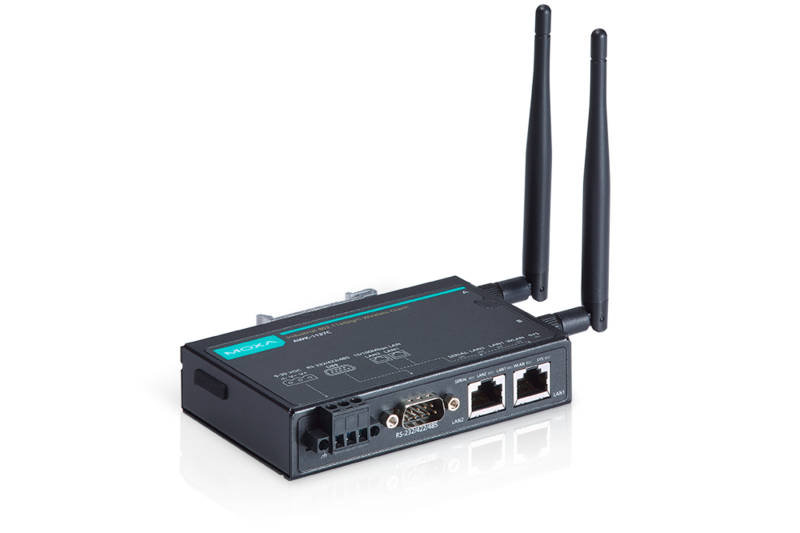 Moxa’s AWK-1137C wireless clients are tailor-made for this purpose and can enable reliable Wi-Fi connectivity in a variety of industrial applications. 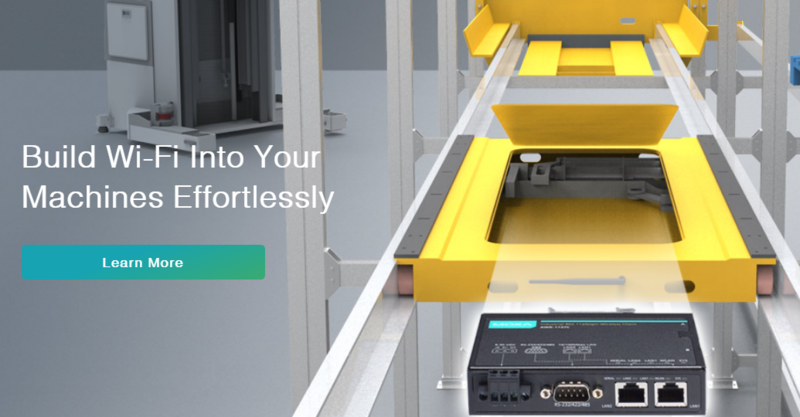 For industrial equipment, such as AGVs and shuttle systems that are constantly on the move and have limited onboard installation space, the AWK-1137C is an ideal solution. The compact device is equipped with Turbo Roaming technology that enables rapid client handover. In addition, Moxa's innovative AeroMag technology, featured in the device, facilitates easy wireless network deployment. High efficiency RHINO PSH series 12, 24 and 48 VDC power supplies offer efficiencies up to 94.5%, temperature performance range of -25°C to 70°C and agency approvals for extreme conditions. The DIN rail clips can be moved to the side of the power supply for side mounting in flat panels. With a 5-year warranty and starting at $83.00, PSH series supplies are UL 508 and hazardous location listed, UL 60950 recognized, ATEX certified, CE marked and RoHS compliant. RHINO PSX series power supplies are Class I, Div. 2 hazardous location rated and offer 12 and 24 VDC output voltages, universal 120/240 VAC input voltage, adjustable DC output, DC-OK LED indication, and output current limitation. Priced from $259.00, PSX supplies are IP67 and NEMA 4X rated, UL 508 listed, UL 60950 recognized, CE marked and RoHS compliant. The WEG CFW300 variable frequency drive is a high-performance VFD for three-phase induction motors. The CFW300 series features a compact size and is ideal for applications on machines or equipment that require precise control with easy setup and operation. WEG vector control or scalar control can be selected. The CFW300 includes built-in operator interface and SoftPLC with free WEG Programming Suite (WPS) software for custom tailored control schemes. 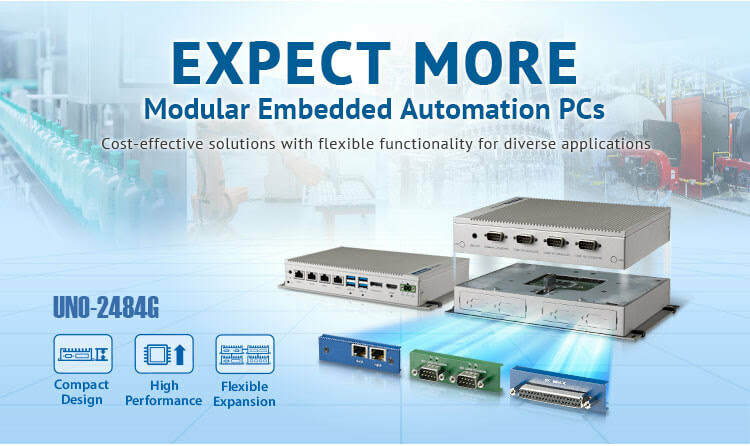 A variety of plug-in option modules for additional I/O and communications protocols can be added to extend capabilities. 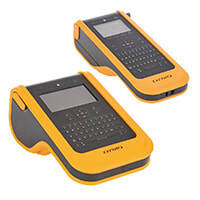 A remote keypad and flash memory module are also available. Starting at $138.00, sixteen units are available from 1/4 hp to 5 hp. Single-phase 100-127 VAC, and single or three-phase 200-240 VAC power supply options are available.